concerning the Perso-Aryan world. The material on this site is constantly corrected and, hopefully, improved. If you want to cite anything here, please check with the author first. Hemerology, Menology, Ophiomancy, Astral omens, and Lapidary of Sacred Stones (their Magical and Medicinal Powers), Bird Oracles, etc. There exists a compilation of different fragments, written in Gujarati with interlinear Persian versions, on cosmography. The text of the treatise is found in the end of one manuscript of the Xvardag Abestāg. On a number of occasions Jews (jehūd) and Judaism (jehūdīh) appear in the writings of the Magi. In these texts, Judaism constitutes the very antithesis of Magianism, the doctrine of the Jews (kēš ī jehūd) as opposed to the good religion (dēn māzdesn), the evil rule (dušxvadāyīh) versus the good rule (huxvadāyīh). Both good and evil rules have been put to the test three times –the Aryan rule is presented as the legacy of Yima and the Jewish rule as that of Dahāka. The present short text expresses the hope of the advent of Vahrām, the Aryan hero who will come in a future period and will restore the Aryan kingdom –in the Jāmāspīg he is the king of Pedišxvārgar. J. C. Tavadia established that it is a poem with rhyme (according to Bahar it is a verse-text with a series of twelve-syllable verses ), and called it “a rhymed ballad”. There exists another text concerning the coming of King Vahrām. In fact, his compiler has interpolated some glosses in the original (above) text. Edgar Blochet found it in a manuscript which once before was at his disposal. Another copy is found in the manuscript R 591 (K.R. Cama Oriental Institute, Mumbai), 49v-50 v.
La mort de Baldr, dans la religion des Germains, révèle, non pas l’avènement sans retour de la mort inévitable de l’homme dans le monde matériel –le thème qu’on trouve dans le texte avestique Aogәmadaēcā –, mais la mort inattendue, comme on voit dans une série de légendes perso-aryennes qui mettent en scène la mort inattendue du héros qui dérègle ainsi l’harmonie cosmique, et propage la guerre, la famine et le mensonge. Alors la légende prend la forme de la « réparation ». Sur les sept qualités supérieures survenues au roi Kavi Vīštāspa, et la possibilité qu’a n’importe quelle personne de la bonne religion de s’approprier les mêmes qualités à son rang. Selon l’exposé de la religion. abar haft pahlumīh ī ō vištāsp šāh mad ēstād <hend> tavānīgīh kadār-z-ē hudēn abar xvēšēnīdan pāyagīhā ham-pahlumīh. The manuscript LXI contains four texts belonging to the Pārsī divinatory literature. The Wèi-shū, or the Annals of the Wèi (dynasty), was written by Wèi shōu (506-572 A.D.), a high-ranking civil servant of the dynasty of the northern Qi (北齊). The account of Persia in the sixth century is found in chapter 102 of this book. It is almost identical with another Chinese account, the Běi shǐ (北史), or the book of the History of the dynasties of the North, completed by Lǐ yánshòu (李延寿) in 659 A.D., chapter 97. The Divine Era (تاريخ الهی / yazdīg māhrōz) was established by the order of the Indian king Akbar in the 29th year of his reign, A.H. 992/ A.D. 1584. The architect of the sacred calendar was a Persian scholar, Šāh Fatḥullāh Šīrāzī. 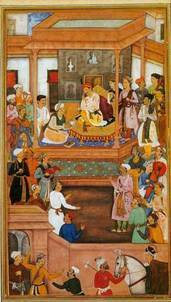 The treatise husrav ī kavādān ud rēdak-ē (HKR) relates the story of a princely orphan from the district of Ēranvinārdkavād. The main part of it consists of questions and answers between king Husrō I (531-579 A.D.) and the Page. The dārūg ī hunsandīh is a prescription for preparing the medicine of contentment. Mihrābān Kayxusrō, a Pārsī teaching priest, at the instance of a Pārsī notable of Cambay (Guj. ખંભાત), Čāhil Sangan, came to India (probably in A. Y. 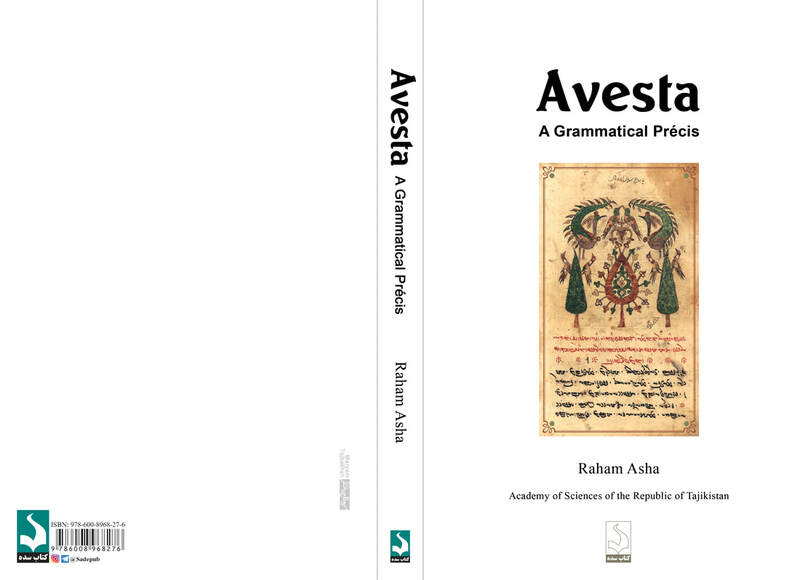 690/ A. D. 1321), and wrote several Avesta and Pārsīg manuscripts at Cambay, Thana (Mar. ठाणे), and Navsari (Guj. નવસારી). He also copied there the manuscripts copied by his great grand uncle Rustam Mihrābān. His literary activities are recorded up to the Pārsī year 720 (+ 20?) of Yazdegird. The present book is, in the first place, a descriptive grammar of the Pārsīg language as far as we have it. It includes morphology and phonology; but it gives no syntax. Whereas the first two parts of the book concern morphology, the last deals with phonology. The book intends to be accessible to those who wish to study the Pārsīg texts as well as those specializing in the study of Perso-Aryan languages –they can start reading from the third part. 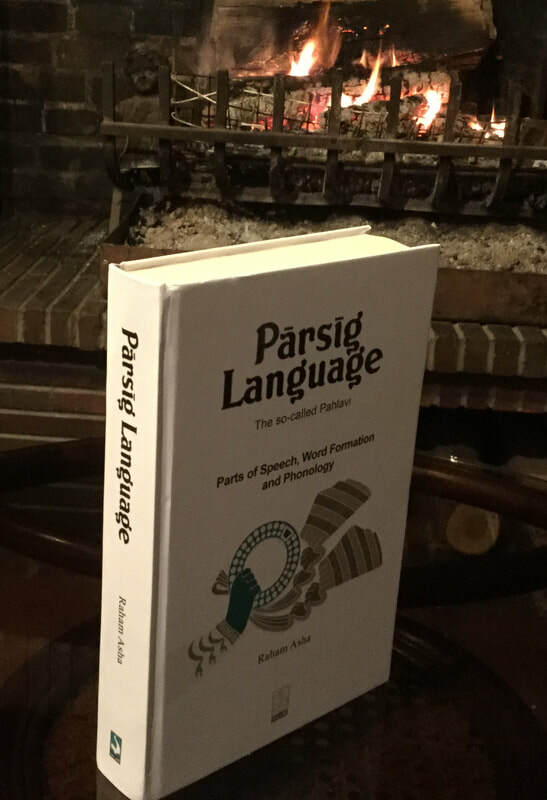 This book has evolved in the course of many years; however, it is not a new and improved edition of my previous book on the Pārsīg language , but a renewed attempt in its own right. A forthcoming compendious dictionary will complete this work. In March 2011 I had an opportunity of visiting Mumbai, and seeing and reading some of the manuscripts of the library of the K.R. Cama Oriental Institute. Mrs. Dr. Nawaz Mody, Mr. Muncherji N. M. Cama and the librarians very kindly made all special arrangements required for an access of the manuscripts which were not yet listed. Out of twenty-four manuscripts I could page through I found two manuscripts of a special interest. I wrote by hand some fragments of them. Here is a brief survey of the contents of the codex TD 26, along with the transcription and translation of two texts of it.